The following was sent to Catherine McKenna, Canada’s Minister of the Environment and Climate Change, and filed with the Driftwood for publication. I strongly endorse the recommendation of the Committee on the Status of Endangered Wildlife in Canada to add the red-necked phalarope, Cassin’s auklet, lark bunting, black swift and evening grosbeak to Schedule 1 of the Species At Risk Act. We are losing far too many species, and we all know what steps need to be taken to slow and halt this appalling trend. I do hope you yourself can find the moral strength and resiliency, as well as the political will, to take the steps that are within your ambit and mandate to do, such as the necessary actions regarding these eight avian species. There is so much that could be achieved by a Minister of the Environment who decided it was time for something to actually be done in a realistic and meaningful way that would change the present toxic and entirely unsustainable relationship between industry, business, government, consumers and NGOs — the latter apparently the only segment to actually be attempting everything within their reach to be done. The apathy, inaction, greed and carelessness of every other sector will be a stain on this era of Canada’s history that will never be escaped, since what we are losing every single day now will never, as we are all aware, ever be regained. It’s not that we do not know how to save it, it’s not that we are unable for other reasons to do so, it is solely and quite simply that we all as Canadians are willing to leave all this up to “leaders” who only lead us towards more toys and fewer true wonders, such as these eight bird species that will quite possibly be some of the next to join the swelling lists of tens of thousands of vanishing unique creatures and plants. I do hope that my words here may just possibly stir your conscience as one individual who possesses both more access and more influence to begin the task that is so desperately needed, if we too are not to join all those extinguished species. The choice is ours, all of us, and that choice is also quite uniquely yours too, to lead. Will you do so? Will you try? Thank you for the opportunity to address you regarding this important issue. 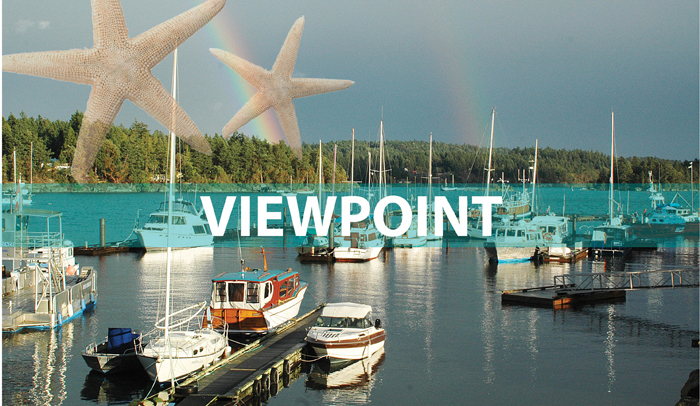 The writer is a long-time Salt Spring resident.